A complicated research project takes a murderous turn for a government forensic specialist. In present-day Vietnam, survivor Huu Duoc Chugai hires an unnamed retired general to carry out an unspecified contract hit in Washington, D.C. Meanwhile, bioterrorism researcher Dr. Alexandra Blake receives an awkward assignment from her boss and pal, Navy Lieutenant Barbara Findlay of the Armed Forces Institute of Pathology. Alex must clean up and return a group of Vietnamese skulls American soldiers brought back from the war as souvenirs. The job involves dealing with paint, graffiti and missing sections. Alex is also tasked with trying to identify the skulls, including a partially mutilated John Doe found in a dumpster. The assignment involves detailed tests in the lab, a crash course in the history of the Vietnam War (including a trip there) and the reopening of old wounds not everyone wants to revisit. 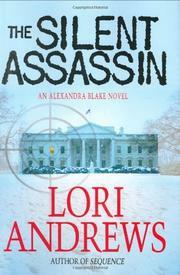 Eventually, Alex’s work triggers a series of violent events for both her and the reader to connect. An assassin hiding a bayonet in a bouquet stabs a general. Someone breaks into the lab and wreaks havoc. Alex’s home is broken into. When she’s abruptly taken off the skull assignment, can she resist continuing her investigation? Andrews (Sequence, 2006, etc.) writes with breezy energy and fills Alex’s world with appealing background characters and interesting details, though not enough surprises.